Aracelis Gonzalez, branch manager of Darien Rowayton Bank, presents check to members of Father Daughter Ball Committee and Cynthia Johnson, director of Rowayton Library. Darien Rowayton Bank is a sponsor of Rowayton Library's fourth annual Father Daughter Ball, which will take place Saturday, April 28, from 4 to 7 p.m. 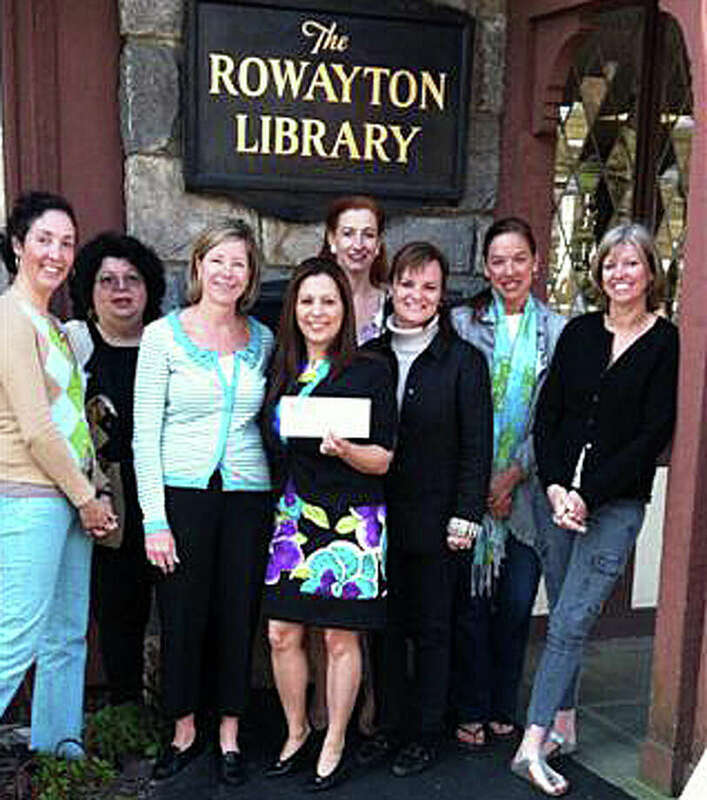 Proceeds from this event will benefit the Rowayton Library. This event is for daughters and their fathers or favorite father figures. It will be an enchanted evening of "You're the STAR" that will include a walk on the red carpet for the paparazzi and meet the characters of favorite movies and books. The evening's program will include dancing, light supper fare, limousine rides, festive attire, portrait remembrances and entertainment and crafts. Corsages are given to every guest. Black tie is optional.